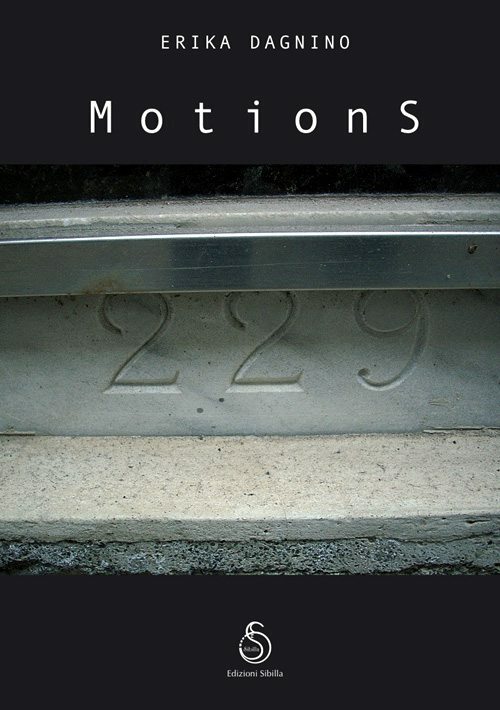 from her book Motions – Italy, May 2010. Translation by Marco Bertoli. To reconnect the voice not only with the sound of words, but with sound per se: a possible feat, indeed. Innocent of further assessments, this sense of vocality results in a vindication of poetry as opaqueness and gravity, sound and emphasis on the sound, while at the same time each and every word changes into both a fragment and a part of a whole, a building block in a work and an unique substance, an element of gravity – meaning weight: the weight of a word in a musical context. The ponderable (from Lat. pondus =“weight”) element is materiality; poetry, inasmuch as itconstitutes matter, regains the meaning of what has been quantified; the material colour of word wraps itself in obscurity, where gravity is apprehended inasmuch as weight and tone of poetry: as though sound were obscurity and gravity in the context of an endless quest for self. Thus, expressivity equals gravity and obscure tonality as a whole. It remains to be seen if some pins of light can break through the obscurity and the gravity of these single blocks, as if through the cuts and holes who constitutes part of the matter in Fontana’s canvases. It remains to be determined the real nature of such slits, in order to at least mark them as inherent to the matter. These very blocks, which we identify with the compactness of matter, can sometimes yield to openings, even in a metaphorical sense, by varying degrees of solidity and visual modes. But also different porosity and solidity of matter itself, which blocks and stops, but dons a veil in doing so; so that the underlying matter can shine through, revealing itself like nothing alien or external, rather an aggregation of self. A poetic composition is its integrity; not search for meaning but expression, by these very means, 42 of part of the work in a solid pattern. Poetry appears then to be a thing of nature, in different modes and varying degrees of obscurity (tonal also) within itself, grave both in sound and in matter, once more equalling poetic composition to substance and matter. The presence of the number needs to be acknowledged in its evidence as it turns into letter, sound and word, then back to tone. Even the ‘discourse’ of number as sound, pure sound (an element which became pure vocality in the global context, telegraphic in its evidence of sound and repetition), could be tied to varying degrees of light; such discourse ought by now be marked by chromatic and aural gravity inasmuch as these are rhythm, return and reiteration of sort. Number as fragment, figurative breakdown, comes thus to being as a portion of sound as a function of the sound standing for it and generating as it were an obliteration of the arithmetical notion of number (but this shift of function pertains to the nature itself of the number). A path unfolds from digit as sound, through the assumption of its arbitrariness, to the recovery of the number first as word, then as sound: namely, in its being composed of letters. Anyway, when the aural matter turns into breath and physically measurable sound, the sound acquires a weight: the weight of number turning into the weight of music. has contributed to the literary and music magazines Fertililinfe, Quaderni d’Altri Tempi, Suono Sonda and the website musicboom.it. Her musical collaborations include the CD liner notes for Anthony Braxton’s Italian Quartet, Standards (2006), recorded live at PP Café, Brussels and works with Italian avant-garde violinist Stefano Pastor, English saxophonist George Haslam and American pianist and composer Chris Brown. 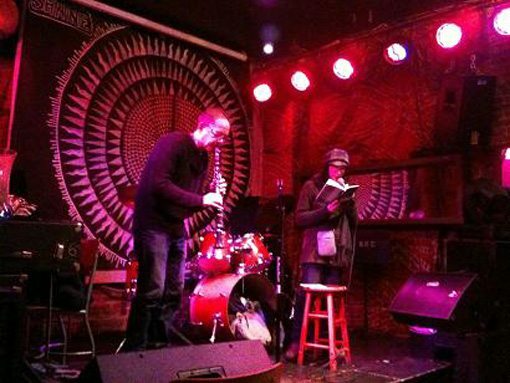 She has performed in New York with Ken Filiano, Steve Dalachinsky, Dominic Duval, Satoshi Takeishi, Ras Moshe, Blaise Siwula, Jason Mears Josh Sinton, Kevin Farrell, Mike Pride, Chris Welcome, Reuben Radding, Harris Eisenstadt … also collaborating with the American poet Mark Weber and with a number of visual artists. Her poetry, fiction and drama have appeared in various anthologies and have won several awards. 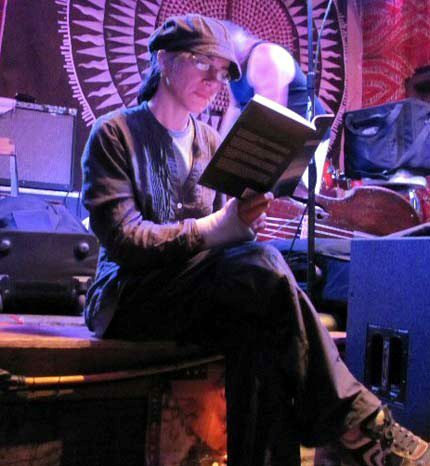 Her latest works include Ru e Fro, Gèr e Màl (novella), Cycles (mixed media, with Stefano Pastor and with English translation by Anthony Barnett), Racconti dell’ombra (short stories), I canti dell’occhio, Dal fondo del metallo (poetry) and Nel gesto, nel suono. La percezione-decifrazione dell’evento musicale, a book of interviews with musicians from different countries. This entry was posted in Erika Dagnino and tagged Erika Dagnino, Motions, poetry and spoken word by Monsieur K.. Bookmark the permalink.